aims to focus on national projects towards the attainment of the Tanzanian Development Vision 2025. The banks mandate is to support the Government in achieving rapid economic growth through the development of industries, infrastructure, social services and the oil and gas sector. 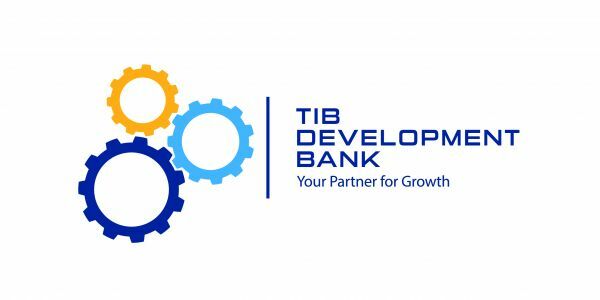 In this regard, activities of TIB have specifically expanded and the bank now invites applications from suitable, qualified and skilled persons to the following available vacancies. The successful candidate will report to the Managing Director. She/ he will be responsible to ensure that the bank is well funded, funding costs are well managed and all regulatory limits are well observed. Prepare and manage the bank’s funding strategy. Maintain constant communication with long term fund providers to ensure consistency in the bank’s funding plan. Advise the Management on the overall cost of funds for the bank. Advise and source long term financing. Advise the Management on any available investment opportunities. Prepare documents required for fundraising and coordinate with external advisors where appropriate in sourcing longer term financing. Ensure that there is enough liquidity for recurring and maturing obligations. Coordinate the Assets and Liabilities Committee (ALCO) of the bank. Custodian of asset pricing for the bank. Manage liquidity of the bank. Preparation of quarterly ALCO reports for submission to the Board. Review work performance of staff in the Directorate including their development and welfare in line with the bank’s policies and objectives. Must possess a Bachelor Degree/Advanced Diploma in Finance, Commerce, Accounting, Banking or related discipline and related Post Graduate degree from a recognized University/Institution. Must possess Treasury dealing qualifications. Minimum of seven (7) years’ working experience in Asset and Liability Management (ALM) role in a banking/financial institution of which, five (5) must be in a senior position in related function. Strong written and oral communication skills. .
Computer skills, with intermediary Excel knowledge. The successful candidate will report to the Deputy Managing Director. She/he will be responsible for administering special funds placed at the disposal of the bank from the Government through Ministry of Finance, Bank of Tanzania and other Government Agencies for various projects as proposed by the government. Solicit funds for administration and projects for management. Collection of non-interest income for the bank. Collection of management fees from respective clients and agencies and remitting the same to the bank. Administering all disbursements to beneficiaries and making sure the funds are utilized for the intended purposes. Periodic monitoring and supervision of all projects. Attending technical and steering committees arranged by Principals. Preparation of Books of Accounts for auditing of all funds managed by the Directorate. Review work performance of staff in the division including their development, appraisal training and welfare in line with the bank’s objectives. Perform any other related duties as assigned from time to time by the Deputy Managing Director. Must possess a Bachelor Degree/Advanced Diploma in Business Administration, Economics, Finance, Accountancy, Banking or related discipline and related Post Graduate degree from a recognized University/Institution. Minimum of seven (7) years working experience of which, five (5) must be in a senior position in related function. Strong written and oral communication skills. Must be computer literate. The successful candidate will report to the Deputy Managing Director. She/he will be responsible to implement policies, procedures, decisions and strategies for financing development projects and activities. She/he will be undertaking projects appraisal and coordinate approval processes, structuring and control of related loans and other types of finance. Obtain client information necessary for the appraisal of the investment propositions, review financial, technical, economic, social, environmental or any other parameters affecting or that could influence projects and incorporate appropriate mitigation factors. Ensure thorough risk control in investment appraisals, and such appraisals are preferably done by teams comprising of individuals with varied professional backgrounds. Submit Investment Memorandum in relation to proposed financing facilities and ensure smooth processing of all applications. Prepare and ensure issuance of offer letters to the client based on the approved Investment Memorandum. Maintain and regularly update investment approval pipeline, ensuring that all conditions precedent are met timely to facilitate mobilization of funding and disbursements as per schedule. Review investment and related policies, manuals, processes and procedures regularly for identification of areas needing improvement and submit the same for supervisor’s review and action. Maintain good working relationship with other divisions, zones, departments and units as well as external stakeholders. .
Review and coordinate designing and implementation of departmental work plans and cooperate with other departments within the Directorate so as to ensure that the division plans are well and timely planned. Review work performance of staff in the department including their development and welfare in line with the bank’s policies and objectives. Liaise with Project Procurement and Technical Department to ensure that project service providers are sourced competitively and incorporated in the Investment Memorandum. Contribute to the overall strategy formulation in discussions with the Directorate in bringing market knowledge, competitor analysis, trade flows and innovative “deal” structures in order for the strategy to reflect the market. Must possess a Bachelor Degree/Advanced Diploma in Business Administration, Economics, Finance, Accountancy, Banking or related disciplines and related Post Graduate degree from a recognized University/ Institution. Excellent communication, writing and presentation skills. Must be computer literate. The successful candidate will report to the Managing Director. She/ he will provide leadership and steer the development of business and expansion of the bank’s core operations ensuring effective and efficient operational policies and procedures are in place and maintain a high level of bank’s performance. Organise, control and direct the functions of Zonal Offices, Directorates of Strategic Planning and Corporate Affairs, Development Financing, Portfolio Management, Managed Funds Administration and Technical Department to ensure superior service offering to all bank customers, efficient utilization of the bank’s resources, reduction of credit losses through implementation of robust risk management process and strict adherence to the bank’s operational policies and procedures. Appraise the bank’s performance on a continuous basis to ensure all activities of these Directorates/Departments are profitable. Develop and enhance the’ existing operational systems and establish new ones in order to facilitate effective costing, monitoring and evaluation of the bank’s products performance. Contribute to the development process and marketing of all the products of the bank and develop mechanisms that ensure customer service is improved on a continuous basis. Ensure growth in the bank’s portfolio and customer base through effective marketing and customer oriented activities. Develop strong, effective and profitable client relationships and networks that can be leveraged to result in revenue growth and customer satisfaction. Lead the development and documentation of work plans for four Directorates and One Independent Department and; ensure timely implementation, monitoring and evaluation of the plans. Participate and contribute to the development of the bank’s corporate strategy and management committee meeting including, Board of Directors meetings. Coach, mentor and develop the Directors and Department Head to ensure the development and sustenance of a performance driven and results oriented culture within the business units. Where delegated, sign official bank documents on behalf of the Managing Director. In the absence of the Managing Director, manage all bank’s business and represent the bank on executive business/ government forum. Perform any other duties as may be assigned from time to time by the Managing Director. Possession of a professional banking qualification will be an added advantage. Minimum of ten (10) years’ working experience in banking of which, five (5) must be at Senior Management level with key experience on core banking functions and management of multiple stakeholders. Excellent relationship management and communication skills required to interact with the Board and negotiate with various clients and key stakeholders. Excellent understanding and experience of banking process, products and services. Highest degree of integrity, excellent and well developed leadership, people management and organizational skills. Strong interpersonal skills with the ‘ability to quickly form working relationship and gain credibility with a wide selection of staff from different level and disciplines. Strong project management, corporate governance and risk management skills. Thorough knowledge and experience in corporate and development banking. Contact address including telephone number(s) and/or email addresses) if available. Closing Date is 31st August, 2017.